The Nigeria international John Mikel Obi is set for Tianjin TEDA medical, according to the football transfer rumours in English Media. John Mikel Obi signed for Chelsea from Norwegian club FK Lyn on July 2006 for a fee in a region of 20 million euros and has a valid contract until June 2017. 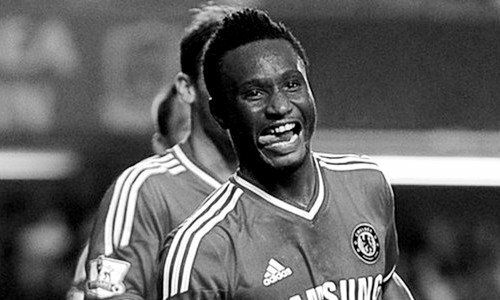 Since his arrival from FK Lyn, John Mikel Obi has scored six goals and provided 13 assists in 372 games for Chelsea. The 29 year-old has not kicked the ball for Chelsea since new manager Antonio Conte took over the reigns in the summer. The Nigeria international has been linked with Valencia, Marseille, Inter Milan and a whole host of Chinese clubs last month. According to English Media, Tianjin TEDA are looking to lure the defensive midfielder to China in the January transfer window. The Chelsea defensive midfielder has been offered a three-year deal worth around 165,000 euros-per-week and according to the rumours, John Mikel Obi will have a medical with view to move to China’s Tianjin TEDA on Thursday.